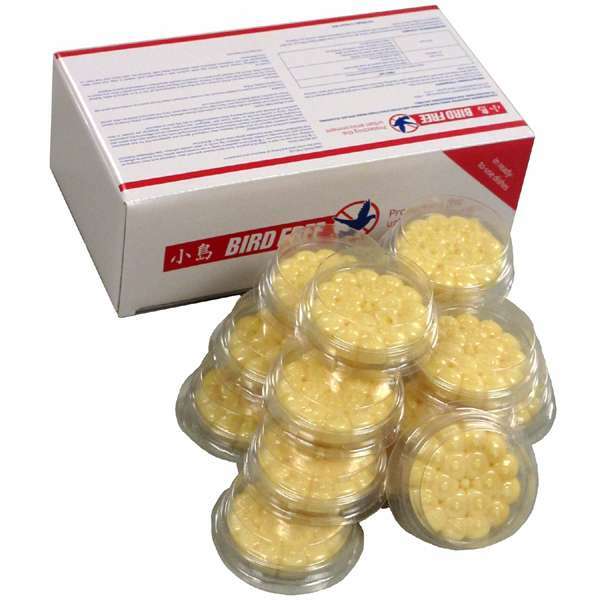 Solve your bird problems instantly with our "Bird Free Fire Gel" bird deterrent product. What is a bird deterrent? 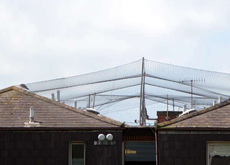 A Bird Deterrent is a product designed to discourage birds from landing and nesting in places where they may become a nuisance and leave an unsightly and unhygienic mess. For example: window ledges, roofs, chimneys, balconies, bridges, cafes, restaurants, public buildings, statues & sculptures, fish and other food markets, outdoor attractions and many more. What sort of bird deterrent should you use? We would always recommend using a humane bird deterrent. 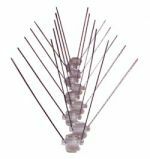 The products we supply fit this criterion, so there is absolutely no need to purchase a bird deterrent which may harm our feathered friends. Some birds, such as seagulls for instance, are a protected species, so it would be illegal to use a harmful bird deterrent such as poisons or other harmful chemicals to solve your problem. What problems will using a good bird deterrent solve? Nesting pigeons, seagulls and other birds such as starlings, can be noisy, messy, dangerous and potentially bad for your health. 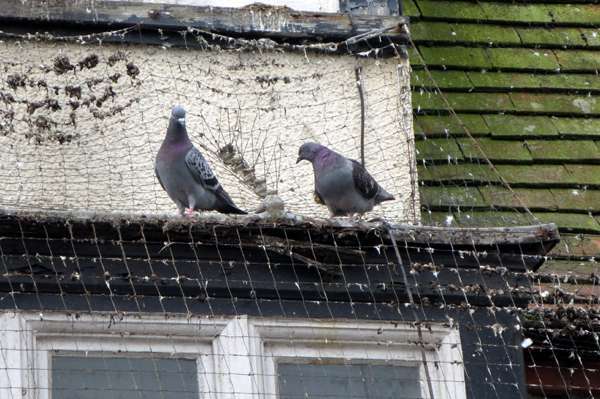 Besides the unsightly mess left and damage caused to properties, pigeons and other birds may cause a blockage in chimneys and air vents which can potentially be very dangerous. Their nests can also be home to all sorts of additional pests which can cause nuisance or even a health hazard. It`s no fun having to clean up after some urban gulls have attacked your rubbish, seeking some tasty food. By placing a suitable bird deterrent such as our Bird Free Fire gel around your bins and refuse areas you may be able to deter the gulls from coming near your bins and causing an unsightly mess. Nesting seagulls protecting their young can be aggressive and in some extreme cases will attack anyone they see as a threat. If you have gulls nesting on your roof you or your family may encounter their aggression when you go out into your garden. Gulls are also notorious for their loud, screeching call. If gulls have found a food source near to your property their numbers will increase and the disturbance caused by their noisiness can become a problem. When deciding which precautions are best suited to your bird pest problem here are some questions that will help you make the right choice. 1. What are the bird species which are causing problems? 2. What are the problems caused (bird mess, nesting, property damage, noise, aggression). 3. Where do the problems occur (rooftops, guttering, balconies, window ledges). 4. 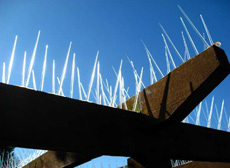 What is your budget for bird deterrence? 5. How long does the bird deterrent need to be effective? Answer these questions and then take a lookt at our bird control products where you will find an effective solution. Buy now at on-line prices at our "One Stop Security Shop"
you`re protected by our "No Quibble Money Back Guarantee". are popular bird deterrent products - but require regular maintenance to clear collected debris which can make them look unsightly and reduce their effectiveness as a deterrent to birds.